Newest adapter kit made by ABC-Clutch to fit Nissan 350Z gearbox on 1JZ or 2JZ engine. 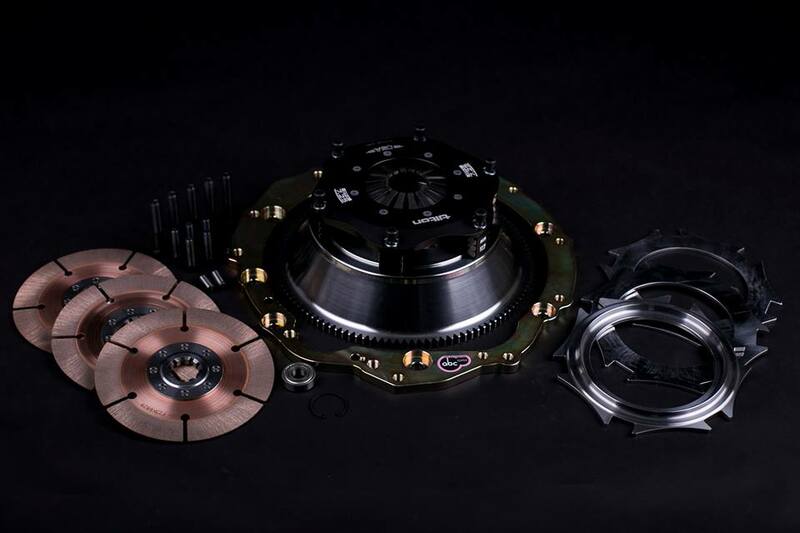 To expand our product list and help out our clients, we have made new adapter kit to fit any 350z gearbox that comes with mechanical clutch release bearing on JZ series engine. Adapter kit can be fit on gearboxes with hydraulic release bearing, but it needs to be modified, is not 'plug and play'. Our adapter kit includes special size bearing which you have to replace with original carrier on your 350z gearbox. Everything else is bolt on like every other of our kits. There are many adapter plates on the market, but ABCs are the only ones with centering pins, to get crankshaft center and gearbox input shaft aligned precisely. This guarantees that the multi disk clutch spline won’t be damaged caused by incorrect alignment. This is the same problem with Cut and Welded bell housings which during the welding will warp causing the misalignment.